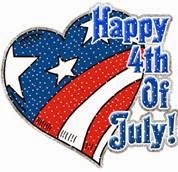 Needles-n-Pins Stitcheries: HAPPY 4TH OF JULY!! Just wanted to wish all my American followers a HAPPY 4TH OF JULY!! And to all my non-American followers thanks for joining us on our celebration of our Independence!! Sorry I'm so late but hope you had a grand 4th of July Colleen!